Your kitchen is the heart of the home. Get the ideas you need to make it great! 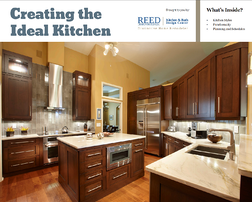 In this eBook, you'll find helpful information to help you create your perfect kitchen. Fill out the form to the right, and receive instant access to this incredible resource. Enjoy!